In some situations you may want to override the content type that a backend returns. To do that you will need to create a new header object and an associated condition. Click the Create header button. The Create a header page appears. In the Name field, type an appropriate name (e.g.,Add Content Type). From the Type menu, select Cache, and from the Action menu, select Set. In the Destination field, type http.Content-Type. From the Ignore if set menu, select No. Once you have created the header object, apply a condition. Otherwise, that particular object is applied to all requests. Click the Attach a condition link to the right of the new header name. 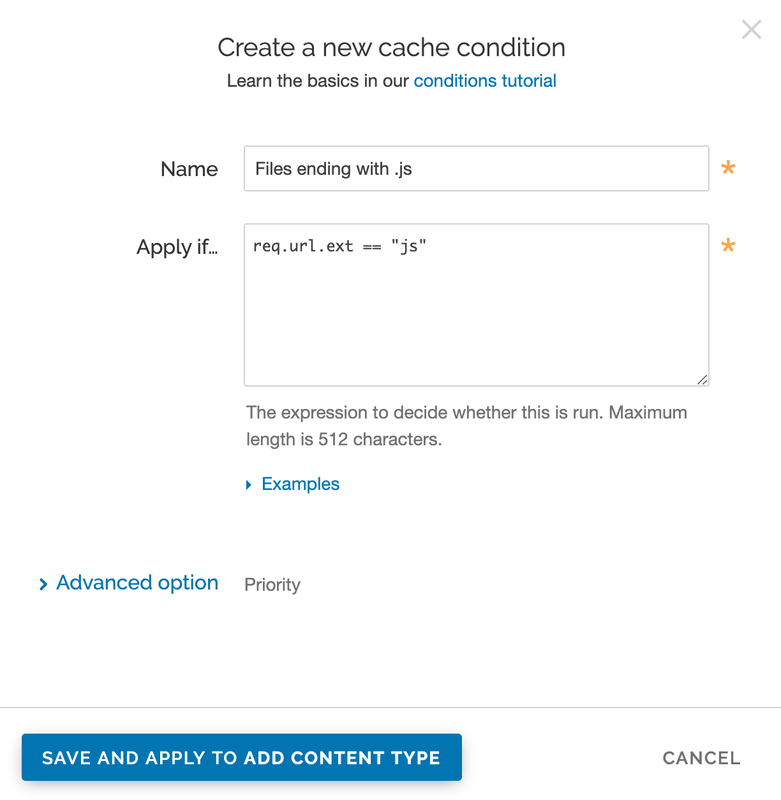 The Create a new cache condition window appears. In the Name field, type a descriptive name, such as Files ending with .js. In the Apply if field, type the condition that matches your request, such as req.url.ext == "js" (to match the request for files ending in .js). Click the Save and apply to button to create the new condition. 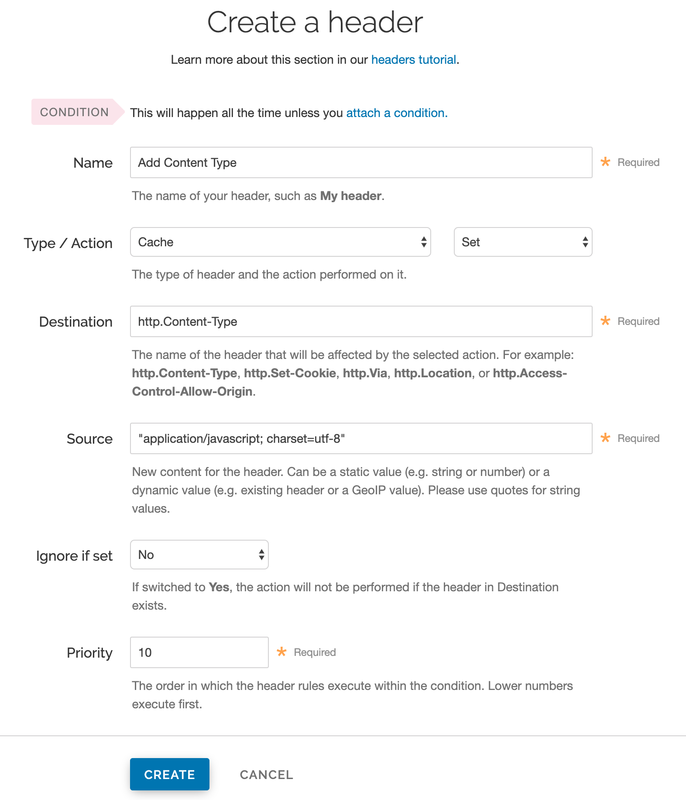 TIP: You may also be interested in our guide to Removing headers from backend response.